According to DICE executive producer Patrick Bach, Battlefield 3 is set to push the current generation of consoles to their â€œabsolute limitâ€. 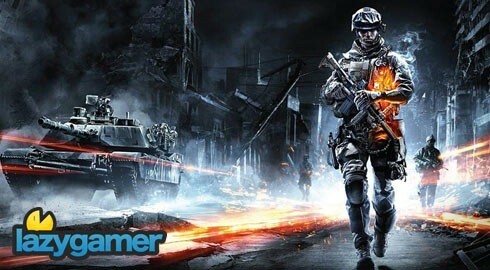 In a recent interview with CVG Bach suggested that Dice was geared up for the future and the next generation, saying â€œI think Battlefield 3 will look like a next-generation game and all the technology we’re building, the whole Frostbite 2 system – the animations, audio, everything – is trying to aim for a couple of years in the future,â€. Bach went on to give details on how if Microsoft and Sony were ready to move on to a new generation, DICE would be prepared, explaining that the current engine would have no trouble scaling to a new platform. â€œ,because we have been looking at not only the PC technology today but also speculating what will happen tomorrow when it comes to these things.â€ clarified Bach. I have to admit that the man’s confidence does sound promising, particularly after he stated that his objective is to, “prove it rather than talk about it”. Unfortunately Mr. Bach, at this point you have no choice, gamers the world over are expecting big things from the big talk. I for one hope this is all truth, as I would love to indulge in a game that highlights why we need a new generation of consoles.